The Partners for this project include community groups like Charleston Village Society and Lorain Growth Corporation as well as property owners like the Port Authority and other organizations who bring expertise, connections and enthusiasm to the project. Each partner is contributing to the success of the project and intends to continue to work on aspects of the project after the Lorain County Area-wide Planning Project is complete. Please review the information about each partner and feel free to reach out to get involved. More will be shared as the role and activities of each partner is defined. 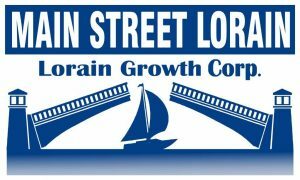 (LGC) is dedicated to the revitalization of Lorain. They are focused on mobilizing resources for businesses to thrive in the Lorain Waterfront District. The four components of revitalization are organization, economic restructuring, design and promotion. They are the Main Street Program for Lorain Oho. They market and promote events, tourism, and economic development, within the Lorain downtown and Entertainment District. Their vision is to create programs and services that allow and encourage the healthy choice to be the easy choice, operate in a sustainable fashion that reflects responsible stewardship, lead by example in the community, and manage our organization to effectively face current and future public health challenges. Inspection- inspect food service operations and other public institutions as part of the licensing requirements. Licensing- issue licenses for restaurants, vending machines, solid waste disposal sites, campgrounds, marinas, private water systems, manufactured home parks, public pools, spas, and beaches. Immunizations, Tests, and Treatments- Administers immunizations, tests, and treatments to fight against communicable disease. Regulatory- enforce all State of Ohio and local health regulations. Reporting- report the existence of contagious and infectious disease to the State Department of Health. Vital Statistics- maintain a record of births and deaths which occur in the district. keting and networking, training and informational seminars, and act as a liaison when needed for businesses with the municipalities and governmental agencies. We showcase our local manufacturing companies each October by highlighting Manufacturing Month, and promote business to business opportunities with our yearly EXPO. The Lorain County Chamber works with our local schools systems and institutions of higher learning to make sure our emerging workforce has the skills needed for the 21st Century work place. Lastly, we work hand in hand with our local non-profits, organizations and philanthropies to help make Lorain County a desirable destination for working, living, playing and raising families and opening up a business. The Charleston Village society is a non-profit organization of volunteers, striving for preservation of the area o f Lorain, Ohio – formerly known as Charleston, 1834. CVSI was founded in 1989 and became a 501c3 in 1993. The society relies on the kindness of volunteers to effect concrete change in the Lorain community. Read more about their initiatives here. As the community and economic development representative for the Lorain County Board of Commissioners, Lorain County Community Development offers programs and services in Planning, Zoning, Housing, Community & Economic Development. Their mission is to serve Lorain County residents through community development initiatives by striving to improve the quality of life; to foster smart growth; to promote economic vitality; to encourage development and redevelopment and to provide tools to community leaders for management and for making policy decisions. among EPA and the Departments of Transportation (DOT) and Housing and Urban Development (HUD). 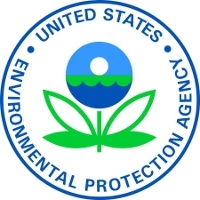 To read more about the US EPA’s area wide planning process, click here.